Interstate-94 Exit 141 - Elm Rd. and O'Leary Rd. 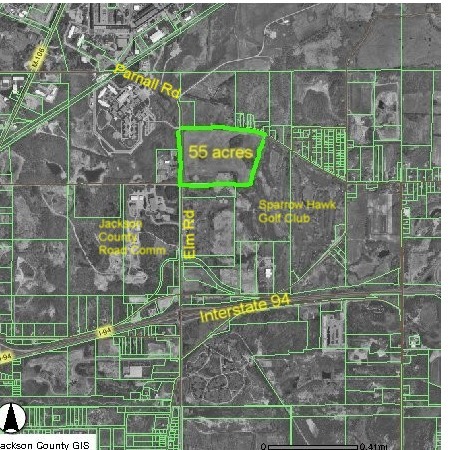 For Sale or Build to Suit - 55 Acres Prime land currently Zoned Lt. Ind. - Mixed Commercial uses possible. 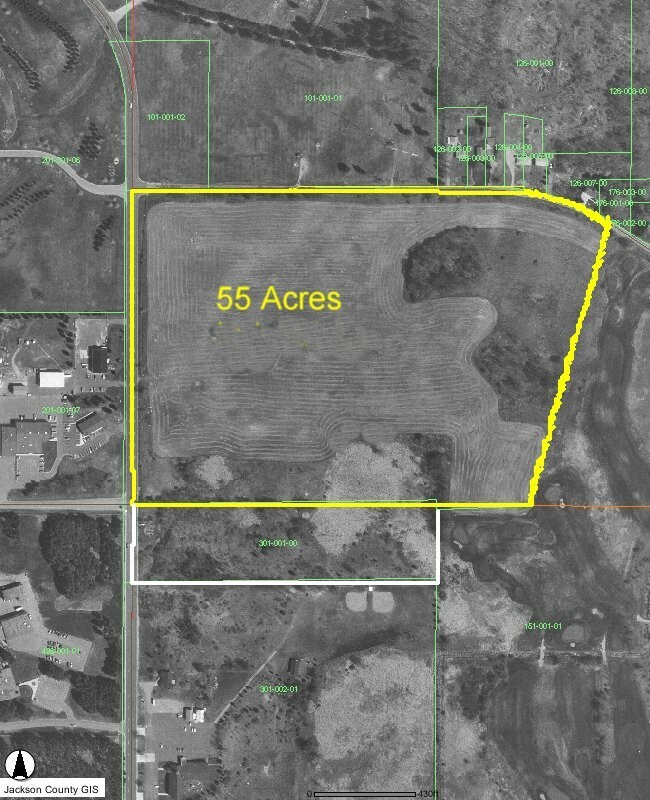 OVER 4200 FEET OF ROAD FRONTAGE ON THIS PARCEL ! Visible to Interstate -94 / US 127. Exit 141 Interstate 94 @ Elm / Parnall Rd. Frontage on 4 lane Class "A" Elm Rd. and on secondary O'Leary Rd. Municipal Sewer / Water in street. Utilities on site. Elm St. frontage may be best used as Highway commercial. Seller will rezone all or part. Near planned 1000 acre industrial park, New Jackson Community College Campus, 5 new auto dealerships, State offices, County offices, US Postal distribution center, surgical center, 144 unit apartment complex. May be split, subject to approval for intended use and zoning requirements. Blackman Charter Township master plan available. Email rfirth@modempool.com for 1" = 200' scale copy of Aerial photo.